Hi there! 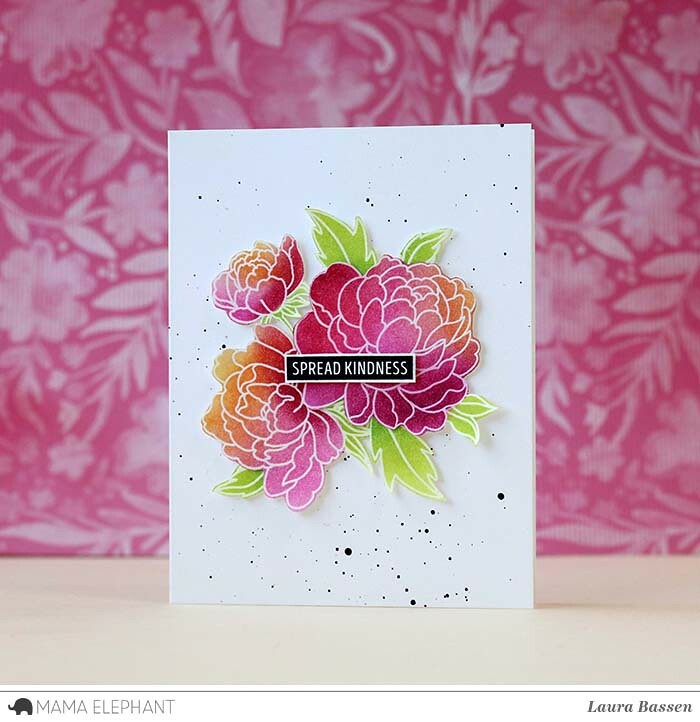 Laura here and today I have project to share with you featuring the Floral Series-Pretty Peonies stamp set. 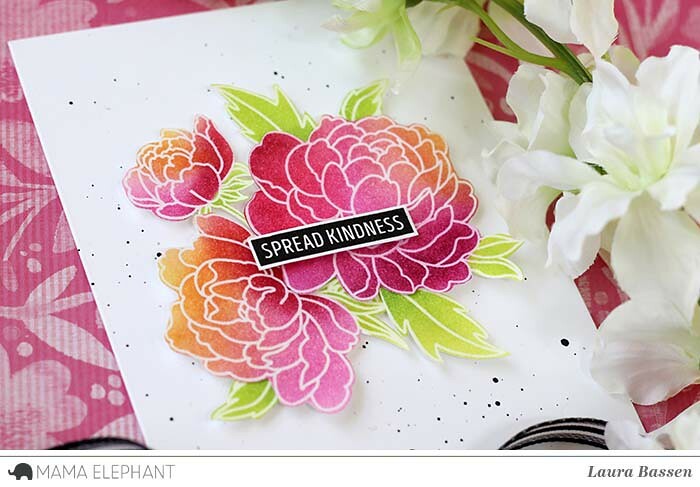 I embossed the gorgeous blooms in clear and used Mama Elephant pigment inks to blend in the color. For the blooms I used Orangeade, Tutti Frutti, Apple & Plumberry. I use Lemongrass & Mojito for the leaves. I splattered a bit of black paint on the background and fussy cut the images out adhering them with foam tape. The sentiment is from Organic Blooms. 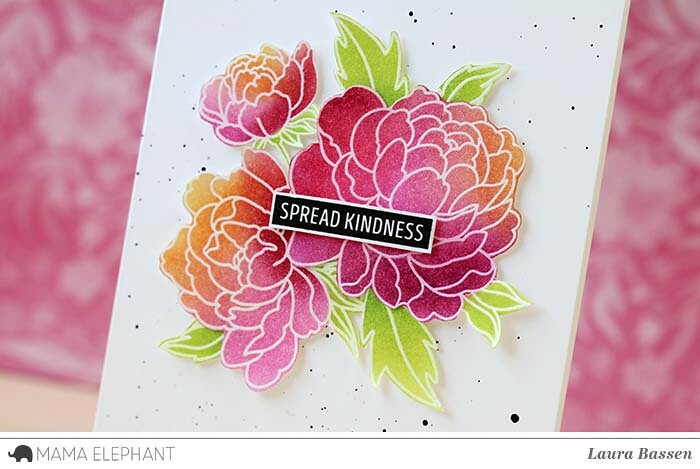 It's a super simple design with bright pops of color on these beautiful Peonies. Thanks so much for stopping by! Love! I'm excited to receive this stamp that I just ordered! I love that the color goes all the way to the edges of the die cut. Looks GORGEOUS! Lovely. Must try those beautiful inks sometime soon. great stamp set. Thanks, Laura! It may be super simple but it's still beautiful! Love the smooth changes of color! WOW, Laura, this is beautiful!